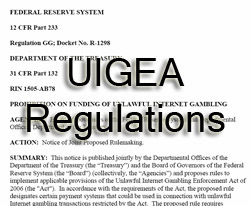 According to PokerNews.com Treasury Secretary Timothy Geithner will delay implementation of UIGEA legislation after a petition by the Poker Players Alliance was brought to him. Instrumental in spearheading the delay is Massachusetts Congressman Barney Frank – A name held in high esteem among poker players. Frank is expected to officially announce the delay sometime today, but rumors have been circulating since early this week when it was announced there would be hearings to discuss the two bills Frank introduced earlier this year: One to repeal UIGEA, and the other to legalize and regulate the online gaming industry. The hearings are scheduled for December 3rd, and UIGEA was to go into effect December 1st. The delay will keep UIGEA from passing while Congress continues to debate the more significant issue of health care: Poker players were probably feeling the short-end of the stick, as it was unlikely Congress could devote the time to online poker legislation during the heated health care debate. This entry was posted on Friday, November 27th, 2009 at 2:32 pm and is filed under Poker News. You can follow any responses to this entry through the RSS 2.0 feed. You can leave a response, or trackback from your own site.